Pro-democratic campaigners have often criticized the deal, which led to the release of $150 billion in frozen assets and saw the lifting of economic sanctions against the clerical regime. 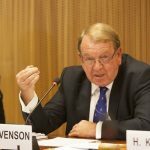 This money, Stevenson argues, enabled the theocratic state to redouble its funding of Hezbollah in Lebanon, the Houthi rebels in Yemen, Bashar al-Assad in Syria and the brutal Shi’ia militants in Iraq, etc. The United State’s “pressure campaign” has seen the withdrawal from the JCPOA nuclear deal and the reintroduction of economic sanctions against the Iranian regime. However, Europe has as of yet been reluctant to follow suit. Europe’s inaction has occurred despite a bloody and ruthless campaign of state-sponsored terror that the Iranian regime has launched on European soil. 2018 saw a string of terror incidents plotted by Iranian regime agents on European soil, the most serious of which saw a Belgian-Iranian couple carry 500 grams of improvised explosives and a detonator to Paris in an attempt to attack members of the Iranian opposition group, the People’s Mujahedin Organisation of Iran (MEK), and their allies. “Similar terror plots were uncovered in Albania, where Iran’s newly appointed ambassador and first secretary were found to be leading Ministry of Intelligence and Security (MOIS) agents,” Stevenson writes. MEK members in Europe have been subject to a spate of regime-orchestrated planned terror attacks, indicating a complete lack of respect for the sovereign rights of European nations and total disregard for the safety of European citizens. No gesture better encapsulates Europe’s dedication to appeasement than this. However, there are signs of cooling attitudes towards the Iranian regime. Diplomats from France, the UK, Germany, Denmark, and the Netherlands held a meeting in Tehran in early January. They reportedly informed senior members of the Iranian leadership that the EU could not tolerate sustained ballistic missile testing and assassination attempts on European soil. The meeting did not go well. 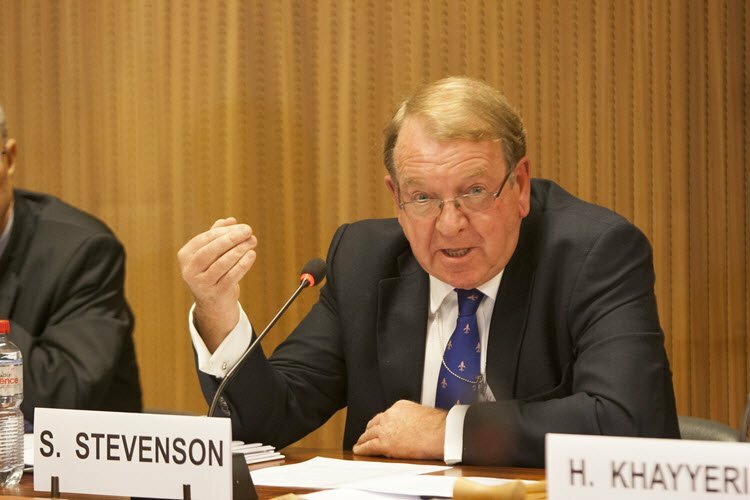 According to Stevenson, Iranian officials stormed out of the room and slammed the door.